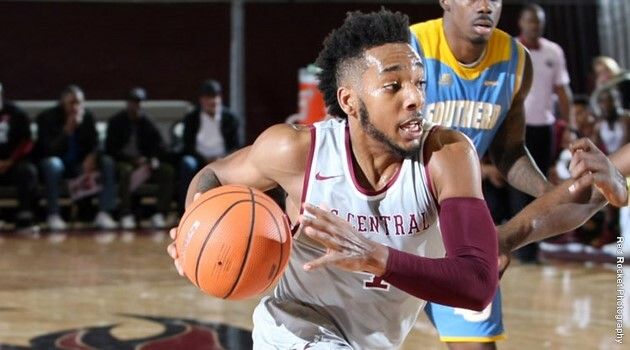 North Carolina Central is still a work in progress, and part of the process is keeping young players heads in the game. North Carolina Central coach LeVelle Moton just has a way of painting a picture with his words that most coaches only dream about. Take his comments after his team’s 65-64 win over Norfolk State on Monday night. His young team, featuring freshman guards Joran Perkins and Reggie Gardner, came back from a 10-point deficit to beat its MEAC rival. Moton spoke candidly about the difficulty of keeping his young team’s head in the game at all times. “Man I love them, but they’re driving me crazy,” Moton said. He pointed to freshman guard Jordan Perkins as an example of how tough it can be for a young player to be focused as he starts to get love in and around campus. It’s something that Moton knows first hand. Moton says that more than anything, the outside stuff is tough to compete with. Perkins scored four points and dished out seven assists, but was just 2-for-5 from the free throw line. Moton called out freshman Reggie Gardner as well, specifically for the way he competed on defense at certain points in the game. “I’m challenging these young men to compete. It’s not high school where you can just be the best player on the floor and guard the worst player on the floor. I can’t hide you out here,” he said. Luckily for Moton, he doesn’t have to rely solely on freshmen. Senior big man Raseean Davis had a big night on Monday, scoring a career-high 23 points and grabbing 10 rebounds. But even he wasn’t immune from criticism after the game. Never the less, NCCU is 2-0 in the MEAC and 8-8 on the season.